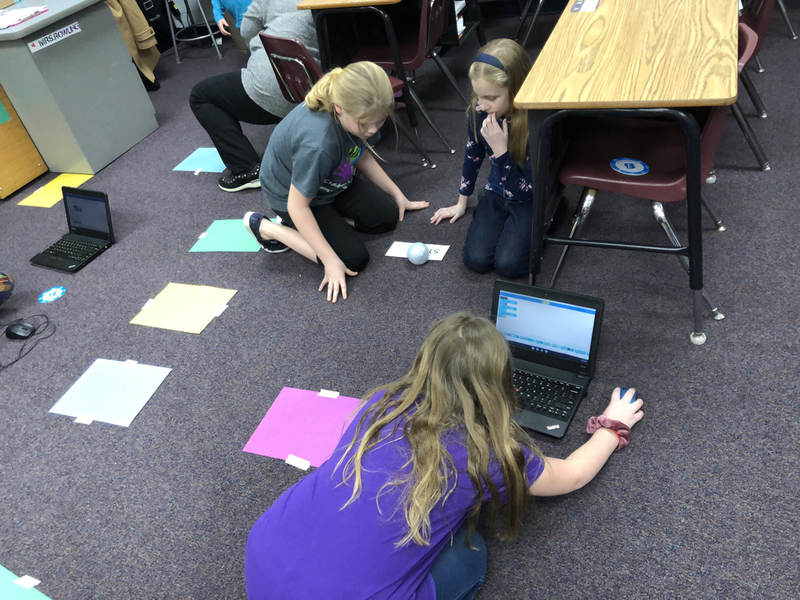 Mrs. Melanie Fessler came to Grafton school today and taught our third grade class how to code. They had to figure out what angle, what speed of the turn, and how many seconds to make the robot go to the place they wanted it to stop. They also had to input what color it should turn when it stopped. They had a great time learning this STEM project.